KIEV, Ukraine -- Talks between Ukraine and Russia over lower natural gas prices suddenly collapsed on Monday, forcing Gazprom to postpone indefinitely an agreement it had earlier planned to sign before the end of the month. “There will be no New Year presents,” Alexei Miller, the CEO of Gazprom, said in Moscow, Interfax reported. The comment comes hours after Miller’s meeting with Ukrainian Energy Minister Yuriy Boyko and days after Prime Minister Mykola Azarov had issued his concerns over the country’s energy security. The development underscores a major change of tone for Gazprom, which has issued a special statement just seven days ago to announce the agreement will “probably” be signed by the end of the month. 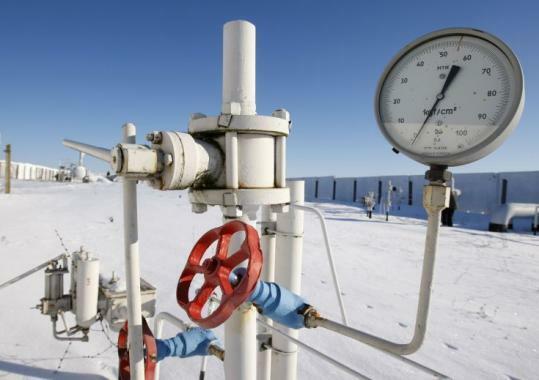 Ukraine has been seeking to lower gas prices to $230 per 1,000 cubic meters, down from $401/1,000 cu m currently. The lower price was expected to help Ukraine save $6 billion annually beginning in 2012, but the collapse of the talks means the government will have to either reduce gas imports or cut other spending to balance the budget. The gas talks were so far were handled by Boyko and were directly supervised by President Viktor Yanukovych. But Azarov, after seeing the final draft of the agreement on December 5, has refused to support it citing energy security concerns, Dzerkalo Tyzhnia reported Saturday citing a source. With Gazprom now turning much less optimistic about the agreement, Azarov has ordered to create a team of negotiators with Russia to make sure Ukraine’s energy security is protected. The team will be led by Boyko, but will also include members of the Foreign Ministry, the Finance Ministry, the Economy Ministry, the State Property Fund and the Justice Ministry. The team will begin a new round of negotiations with Russia after the Azarov government approves a set of instructions to make sure the country’s energy security and other important issues are not compromised, according to a person familiar with the issue. Vladyslav Lukianov, a lawmaker from the governing Regions Party, on Monday accused Russia for refusing to lower the gas prices and said the development may worsen relations between the two countries. “If Russia intends to trade friendly relations between our people then I think this is a short-sighted policy,” Lukianov said. The final draft agreement, which was rejected by Azarov last week, called for the creation of two 50-50 joint ventures between Gazprom and Naftogaz Ukrayiny, according to Dzerkalo Tyzhnia. One joint venture would handle transit of Russian gas to markets in Europe via Ukrainian gas transportation system, while the other one would supply gas to Ukrainian consumers, the newspaper said. Russia apparently also insisted on registering the gas transit joint venture in a third country to avoid its jurisdiction in Ukraine, according to the newspaper. Ukraine originally suggested creating a trilateral joint venture, including Ukraine, Russia and the European Union, to operate the gas transportation system, according to a person in the Yanukovych administration. Serhiy Pashynskiy, a lawmaker who advised former Prime Minister Yulia Tymoshenko on energy issues, criticized the Ukrainian authorities for their attempts to please Russia to try to win lower gas prices. He said that Russia would only ease the pressure after Ukraine surrenders its gas transportation system, and that is unacceptable. “There will be no compromises with the Kremlin until the agreement, in black and white, stipulates that the gas transportation system is under control of the Kremln,” Pashynskiy said.